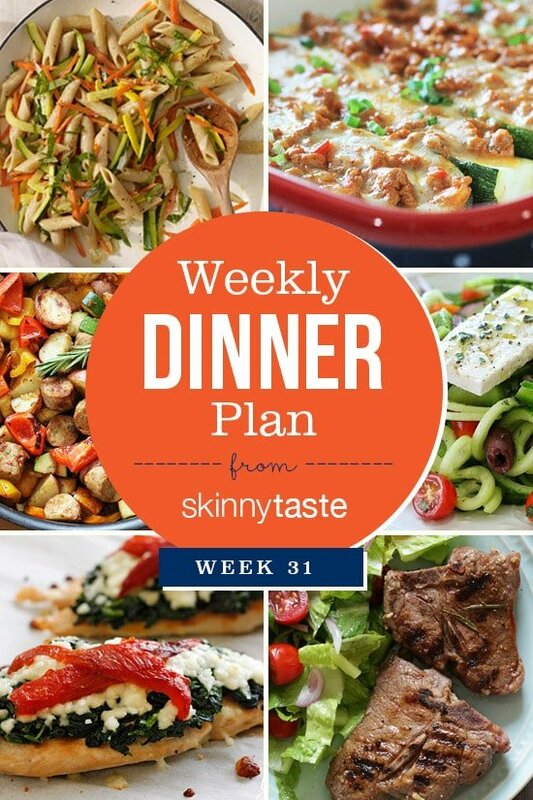 Skinnytaste Dinner Plan (Week 31). So while some are already of out school for the year, the final countdown is on for the rest of us! 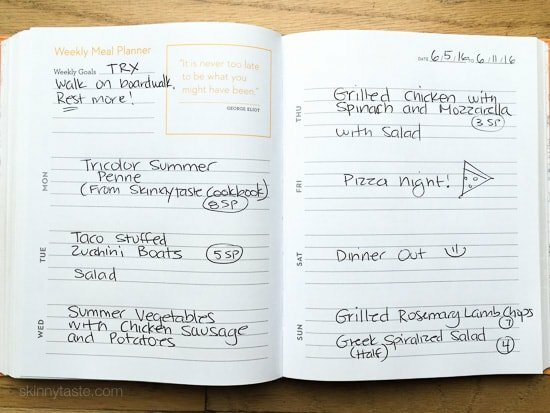 This week I have included a recipe from The Skinnytaste Cookbook, some lighter meals for those warm evenings, and an easy and flavorful salad! I hope you enjoy them all!